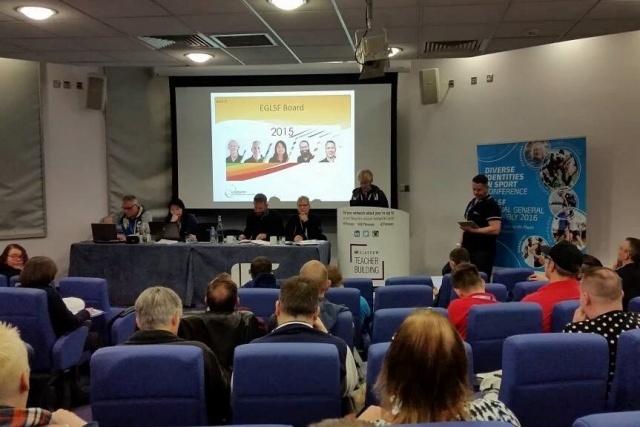 LEAP Sports > News > Could you be our new EGLSF representative? Could you be our new EGLSF representative? LEAP Sports has been a member of the European Gay and Lesbian Sports Federation (EGLSF) since 2012. We have been represented by members of our board and staff team at EGLSF meetings, conferences and their annual general assembly (AGA) during this time. From 2019, we’d like to add a new additional representative who can represent the voice of sports clubs within the LEAP Sports network. We will commit to this position for 2 years at which point we will review the role and the resources available to support it. This will be a voluntary role, but travel and subsistence expenses will be covered where appropriate. Your statement of motivation may also include any views of the role, your understanding of LGBTIQ+ sport at a European level, and what you’d hope to achieve. The deadline for this is Wednesday 20th February and the decision will be taken by a panel including 2 LEAP Sports personnel and an external assessor. Written on 6th February 2019.